Turk's cap lily (Lilium superbum) frames the mountains of Great Smoky Mountains National Park. Host and professional wildlife photographer Doug Gardner explores the Great Smoky Mountains to photograph summer wildflowers with nature photographer Kevin Adams. 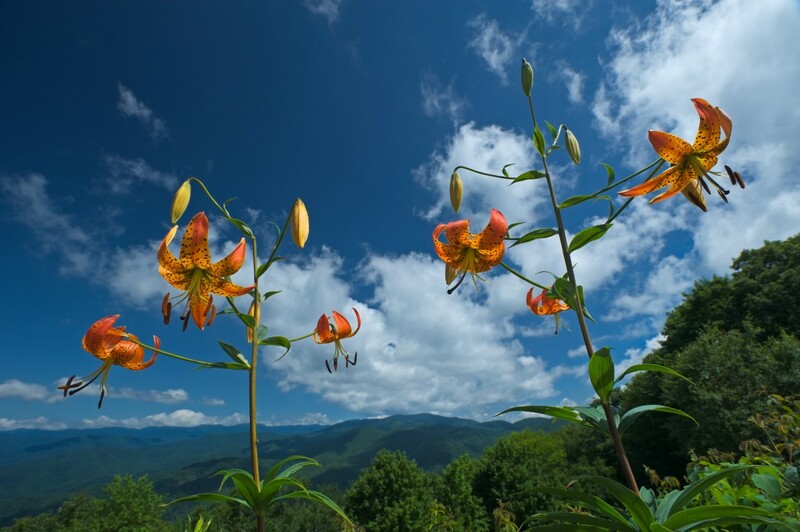 Turk’s cap lily (Lilium superbum) frames the mountains of Great Smoky Mountains National Park.